"Is there any chocolate in the house, I think I saw some caramel sauce in the fridge, what could you make with that?"...Arrrghhhh! I could have told him to whip something up himself but for one thing he can't cook and for another, the kitchen is my territory. 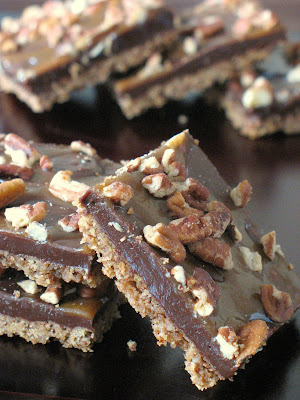 A few looks around and a few clicks on the computer later, I had these Chocolate - Caramel and Pecan Squares chilling in the fridge. 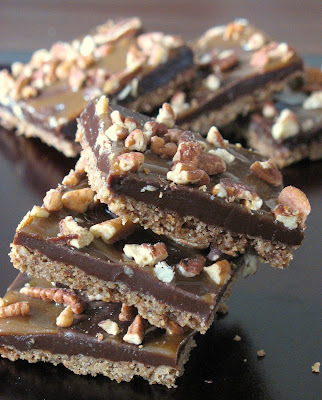 There's nothing grand to them, just simple home baking, but making bars or squares is still relatively new to me. This is not the kind of treats we make in France and I am still quite intrigued by the multitude of recipes for all kinds of bar and squares, from fruity to nutty, cakey to crumbly. The novelty has not worn of yet and I really appreciate this kind of down home baking that I first encountered visiting family in Canada and then after settling in the States. 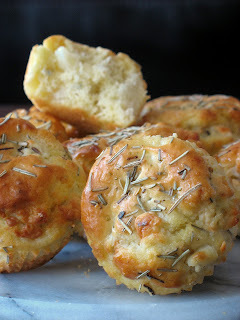 I must have 50 recipes bookmarked here and there already and the list grew just trying to find a recipe for these! 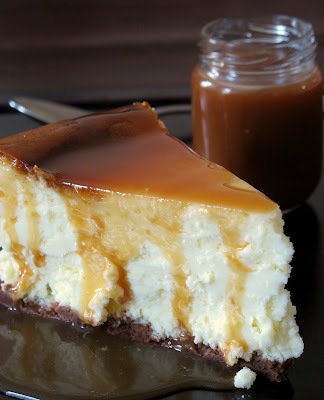 I used salted butter caramel sauce I had leftover from a cheesecake, but the following recipe gives you the instructions to make your own. In a medium bowl combine the crackers crumbs, butter, nuts and sugar. Mix well and pat in a 8x8 baking pan, lined with aluminium foil. Bake for 10 minutes. Set aside. While the crust is baking. Prepare the chocolate-caramel filling: in a heavy saucepan combine the butter and brown sugar and cook on medium heat until bubbly. Add the cream and cook 2 more minutes. Remove from the heat and measure 1/4 cup of the mixture and set aside. 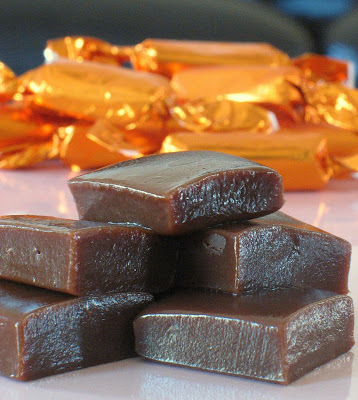 Add the chocolate to the remaining caramel and stir until melted. Pour it over the crust, bake for another 5 minutes. Remove from the oven. Let cool for 5 minutes and drizzle the reserved caramel and sprinkle with the chopped nuts. Chill until set (easier to cut that way too). I truly wish I could have these breakfast, lunch and dinner. They are the right combination of crunch and smooth. I did not put a certain number of serving for the simple reason that in my house it serves 2....especially on the weekend....On a more serious note, you are in charge of the size of the squares....I will not be held responsible for expanding waistlines!! I am not what people would call a "fashion victim", food wise or clothes wise. I know the shape and curves of my body and what will feel good on it, what fabric I like and cuts that I love and look good on me. The same goes with food... with the exception of verrines, or what one might call "creations in a glass". Whether savory or sweet I have been fascinated by them since I saw them on Mercotte's blog over a year ago, and since I was given this book at Christmas. 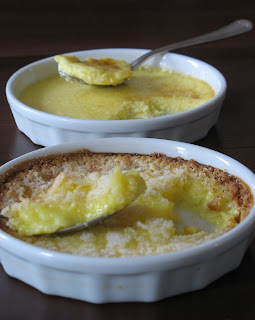 The European culinary scene seems to have been quite fond of them for a couple of years now and I totally fell for them , so go ahead...say it...I am a verrine fashion victim...and it is mighty sweet. I am also another kind of food fashion victim as I love to participate in blog events. Not only do I have the chance to share my passion with others but I also discover a multitude of great blogs and talented cooks everywhere in the world. When I read about Chris from Mele Cotte's event Cooking to Combat Cancer, I knew I could not sit back and not participate. Too many people in my life have been taken away by cancer, particularly my grandmother and my brother. I felt complete loss of control when they died: could I do anything to prevent this in me? Probably not if it is in my genetic profile, but since there is no way to know and since our family health history is not that great, it could certainly be improved, and I could do my part with what I would put in my body. My diet was not bad to start with since my parents very rarely served us boxed or processed foods but I think I developed a sort of acute awareness to the cancer fighting essentials around me. I know what looks good on me, but I also know what does my body good and food wise, even desserts can do their part in fighting cancer. 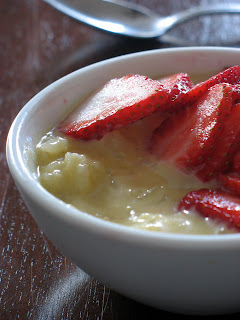 For this particular event I wanted a shock full of cancer fighting foods in evey bite and although I was not sure how my little creation would turn out I thought it was worth the try. These verrines turned particularly tasty, surprisingly tasty! I am new to avocados in desserts but after my first try a few days ago, I have to say I am a convert and they won't go only in my salads anymore! Makes 4-8, depending on the size of the glas you use. Cream together egg yolks and sugar in a heatproof bowl set over a pot of simmering water. Whisk until mixture is thick and doubled in volume. Remove from heat. Stir in the mascarpone until completely blended. In a chilled bowl, whip the heavy cream to soft peaks. Fold the whipped cream into the mascarpone mixture. In a food processor, combine the avocados, sugar and lime juice and puree until smooth. 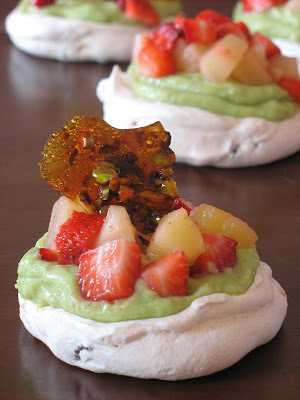 Whip the cream to soft peaks and slowly fold it in the avocado mixture. Heat the jam and cherries over low heat. Let cool to room temperature until ready to assemble. Do this just before serving as the avocado will oxydize a bit and get brown over time. 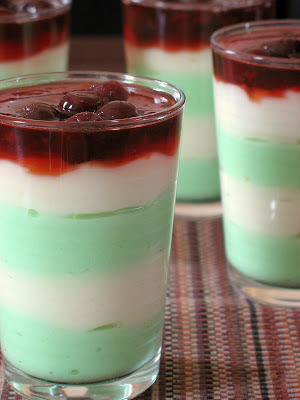 Layer the mascarpone and avocado mousse in glasses or conainers of your choice and top each with a 2-3 Tb. of the sour cherry mixture. 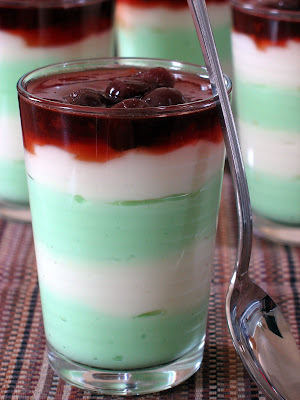 This dessert is health in a glass (if you forget the heavy cream....) as avocados are rich in glutathione, a powerful antioxidant that attacks free radicals in the body. They are also high in protein, fiber, niacin, thiamin, ribofalvin, folic acid, zinc and healthy fats (see...you can forget about the heavy cream!). Cherries contain the anti-cancer bioflavonoid quercetin. Update: I apparently converted my temperatures wrong for the salted butter caramels. I corrected the recipe accordingly. Do you ever get stuck on one picture and its recipe while reading your favorite blogs and you go back to it many many times? The minute I saw this bread, I hit the "add to favorite' button, and stared at it several times a day while reading emails or researching items on the computer. The recipe comes originally from Zapbook and has already traveled the French blogosphere quite a bit during this past month. I have been fond of Petite Lolie's blog from the day I stumbled upon it. There is something aboout her site...it is beautiful, that's what it is. Full of life, warmth, knowledge, know hows ans how tos...It's fresh and abundant in lip smacking recipes. Although the exact source of the bread is unknown, the recipe delivers a sunflower looking like brioche. I followed Petite Lolie recommendation and added a bit more sugar. I don't think I kneaded the dough quite enough as the the texture of the dough was not as soft as my previous brioche. Always room for improvement. The actual shaping of each roll may seem time consuming but it took me about 15-20 minutes and the end result (look wise) is well worth it. Put the yeast in a non reactive bowl. Heat the milk to lukewarm, and pour it over the yeast. Stir with a fork or spoon to make sure it dissolves properly. Add 2 Tb. sugar and slat and let the yeast proof for 10 minutes. 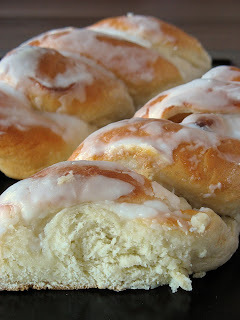 In a stand mixer fitted with the dough hook attachment, combine the flour, eggs, remaining sugar, melted butter. Turn the mixer on slow and slowly pour in the yeast mixture. Let the dough come together and continue the kneading either by hand or with the mixture for a good 5-8 minutes. Put the dough into an oiled bowl and let rise for 1 hour or until doubled in size. Once the dough has risen, divide it into 16 equal portions. Roll each portion out into a circle or oval. Take one piece, brush with melted butter, stack another piece on it, brush with melted butter again and repeat with 2 other portions. You are actually making 4 stacks of 4 portions each. Roll each stack tightly. Cut each into 4 triangular pieces. Position the rolls in a 10 inch round pan, with pointy ends facing toward the center. Let rise for another 45 minutes. Preheat the oven to 375. Once the dough has risen, brush with an egg wash (egg beaten with some milk) and bake for 30 minutes. End result...one could argue that brioche is brioche and this is yet another recipe. But come on, look at those plump folds! Every nation has its version of the basic brioche dough and I like exploring other cultures through bread baking. I am looking forward to making this one again, probably for the only reason that it looks gorgeous, tastes great, behaves well, and made my morning brighter! Yep, I am not complicated...making bread fuels my fire! 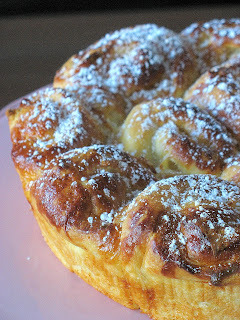 I am wondering if such a bread exists in Bulgaria so I am on the lookout for a source, let me know if you have one. One thing for sure: I am definetely putting this in my Easter Basket to be delivered to The Passionate Cook as part of this month's Waiter There's Something In My...(and because my dear mother in law is organizing brunch next sunday, as a pre-Easter menu testing). It is an understatement to say that B. and I love Indian food. We particularly love it when it comes from a small restaurant down our street. We have visited them quite enough to be familiar faces, but we always come back because of their sincere kindness and love of good food. You can't be in a rush while visiting them. Everything is prepared fresh so it is not unusual to wait 45 minutes for an awesome lamb curry and a plate of piping hot naan, chappatis or parathas. It's not that we go there every week but each time we never order from the menu and instead surrender to whatever the chef feels like cooking. There is nothing like giving him carte blanche because he then prepares foods the genuine way, does not shy on the spices and even agrees to give me some cooking secrets and tips. Many moons ago, he told me how to make chappatis and since I make curry or other related Indian dishes a couple of times a month, I always end up calling the restaurant for an order of bread for fear mine won't be as tasty as theirs. 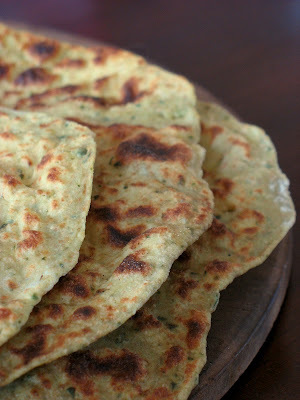 It's funny how a couple of things prompted me to make these awesome spinach chappatis. I have this big blue binder in which I collect recipes found on other blogs, cooking sites and such and every three months or so I pull it out and weed through the ones that I know I will never make, the ones I can find again easily, or the ones that have actually ended up on this blog. As I was looking for a brioche recipe (yes again), I found one I had printed exactly a year ago for 'cottage cheese and spinach chappatis". I was making lamb curry that night and since on Sundays, I usually prepare a couple of bread items, rolls, baguettes, sliced bread, brioche and things like that, I thought it was a perfect opportunity to think outside my bread box and make a batch. I followed the recipe to the letter and ended up with six beautiful flat breads. We ate a couple that night and I have used the remainder throughout the week for lunch wraps and for individual pizzas. Perfect! I found the recipe on Saffron Hut and since I did not change a thing from it, I will just give you the link. 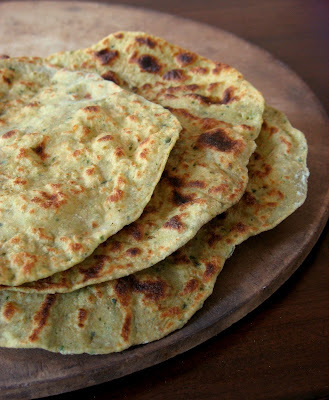 I followed the basic version for the chappatis (meaning no potato stuffing) but given how good they turned out, I plan on making Saffron's full recipes for the parathas. Undoubtedly, I will still order some from the restaurant but I intend to broaden my horizons of Indian breads. Today is my brother's 34th birthday so "Joyeux Anniversaire Arnaud"! 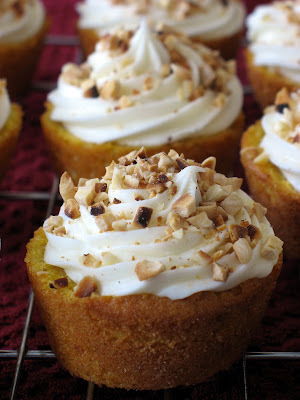 I had a serious craving for carrot cake or muffin or cupcake last night so I figured I would make a small batch and send him one via this blog as a token of my love and friendship. I don't mean to get all too sugary sweet but I am fortunate that over the years our relationship evolved as well as it has and from being bickering sibblings with a short age difference we are now able to go on vacation together, share a kitchen and forget about the small stuff. I only wish, now that I have finally discovered what a great guy he is, that we did not live that far away from each other as he and his family are in Toulouse, France. Back to the recipe...I often precook vegetables on the weekends for the days I have late evening training sessions and the last thing I want is to spend one more minute on my feet. I remember I had cooked carrots, broccoli and cauliflower in the hope I'd get around to making pretty vegetable purees or souffles one night...did not happen so when I opened the freezer and found 2 cups of cooked pureed carrots the only thought that came to my mind was "carrot cake"...Eh Doc! At least I am getting my vegetables in...! I had bookmarked the recipe ages ago and just got around to doing it, killing two birds with one stone by celebrating a birthday and indulging a craving. I decided not to use nuts or other fruit such as pineapple or raisins in the filling because all I wanted to taste was the sweetness of the carrots, but feel free to add them if you fancy them. Thank goodness I ended up giving most of them to the neighbors because I could have easily polished off a whole tray! Preheat oven to 350 and spray a muffin pan with cooking spray. I did not use muffin liners but feel free to do so. In bowl of electric mixer, beat the eggs until pale. Gradually add the sugar and beat until the batter is thick and light colored. Add the oil and the vanilla extract. Add the flour mixture and beat just until incorporated. Fold in the carrots and chopped nuts. Evenly divide the batter among the muffin tins and bake 25 to 30 minutes or until a toothpick inserted in the center comes out clean. 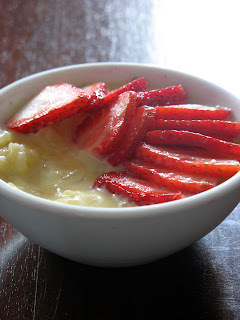 In bowl of electric mixer, beat the cream cheese and butter, on low speed, until very smooth with no lumps. Gradually add the sifted powdered sugar and beat, on low speed, until fully incorporated and smooth. 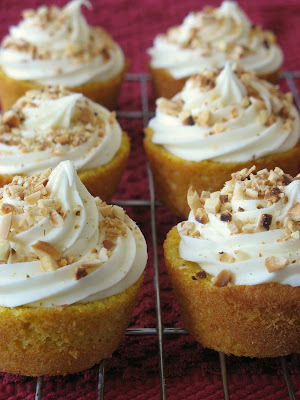 Decorate with nuts or coconut or anything you like. Yep...a cheesecake....If you are new to blogging or this whole food blogging thing you might be wondering why so many of us are baking and writing about cheesecakes this week. Why? We are answering "The Call" shouted by Peabody a few weeks back inviting to participate in "Hay Hay It's Donna Day" #10, originally created by Barbara. There are a few reasons why this one got named "Pillow Cheesecake". It came from a conversation I had with B. one night, comfortably resting our heads on our mountain of pillows as we were contemplating going to sleep but found ourselves completly captivated by the subject of cheesecake. Why sleep when you can spend the next 45 minutes pondering a mighty important question: "what constitutes a great cheesecake?" Disclaimer: the upcoming answers only apply to the author of this blog and her husband. Individual experiences may vary. "It has to be fluffy...can't be dense or a block..."
"gotta have some chocolate, somewhere..."
" and a hint of citrus..."
"pass me another salted caramel (brought back from Normandy)...."
"I think I just took the last one..."
"allright, then it has to have some salted butter caramel something somewhere somehow..."
.....and then we decided to go to sleep....Mom always told me never to go to bed angry, but she forgot to tell me about not going to bed hungry...we had cheesecake dreams the whole night! 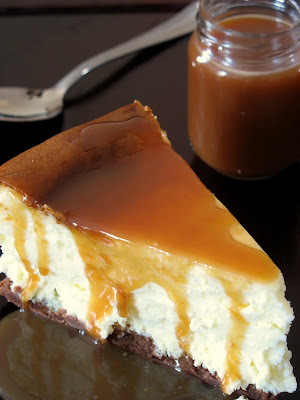 Kidding aside, here were my directives for this cheesecake: chocolate, citrus, fluffy texture and salted butter caramel. How to put it all together without creating something utterly weird? I opted to put the chocolate in the crust and settled on a recipe by Trish Deseine simply because I have been telling myself every single day that even though I have already made the same recipes at one point or another in my life, I have not made hers and maybe I should...and there it was, the perfect picture of a perfect chocolate shortbread cookie. I made the entire batch but only used half for the cheesecake bottom and froze the remaining for a later use. For the batter, I have plenty a recipes on file in my memory bank from my days at the restaurant. 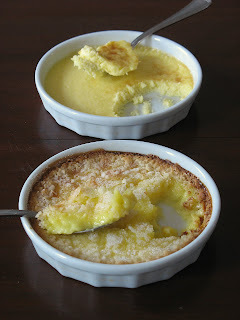 For the citrus element, I grated a whole lemon and added the zest to the batter (no juice). Since i was not making a lemon cheesecake per se, I just wanted that extra bite in the background. The secret to that "pillow" texture that B. was talking about (or was it me....can't remember...I agreed anyway), I separated the egg yolks from the whites and whipped the latter to stiff peaks before incorporating them to the batter. I admit that my days were so full at the restaurant that I skipped this step 75 % of the time. The cakes were denser but still not brick, because I used less eggs and added a Tb of cornstarch and 1/4 cup of creme fraiche. For the sauce, I perused a few of my favorite French blogs in search of the perfect salted butter caramel sauce and found one that I liked too much to change or alter. If you read French, head over Guillemette's blog Chocolat & Caetera, you will not be disappointed but you are sure to get hungry! It is better to start the cake a day ahead of time, as it needs to refrigerate for a leat 6 hours. Preheat the oven to 350.Work the butter, sugar, flour and cacao with a food processor or your fingers to get a sandy mixture. Work the dough for a minute. Divide the dough in half. Reserve one half to make shortbread cookie or refrigerate for another time.Press one half into the bottom of a 10 or 12 inch springform pan. Bake for 40 minutes.Let cool completely. Combine the cream cheese, butter, sugar, lemon zest, creme fraiche and cornstarch in the bowl of a stand mixer and whip until combine. Do not incorporate too much air or the cake will crack. Make sure the cream cheese and butter are very soft. Add the egg yolks one at a time and whip just until combined.Whip the egg whites until stiff. Gently fold them in the cream cheese batter. Pour the batter over the chocolate shortbread crust. The batter will reach the rim of the cake. Wrap your springform pan with heavy duty aluminium foil, set it in a large roasting pan, add enough hot water to come up halfway up the side of the pan. Bake at 325 for 1 1/2 hours. Turn the oven off, crack the door of the oven open and let your cake cool in there for 30 minutes. Remove from the oven and refrigerate completely for a few hours or better yet overnight. This one was a keeper. We had friends over that evening and we could not stop pigging out. The cake was so light it was a sin. The sauce was so incredible we are all guilty of gluttony....it is decadent over ice cream. Let me start by saying "thank you" for understanding my frustration last night and for your support which prevented me from banging my head against the computer screen or eating half the cheesecake I had baked earlier. I love the blogging community because whatever ails you, evening something trivial as losing your post, a lot of you came and offered advice, humor and great relief that I may not be a complete 'puter moron after all! It is no news that I have been hooked on blogging events... like an addict I impatiently await my directives every month and the creative and talented Meeta did not disappoint with her latest Monthly Mingle focusing on savory cakes. 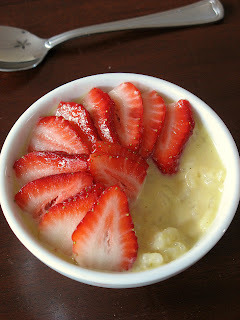 I was happy to come up with something that would combine my love of savory and sweet foods. Yes, B. and I do not live on desserts and pastries only....well except on sundays it seems like! The first time my mom made a savory cake I thought it to be the strangest thing in the world...back then I already knew I would live for all things sweet! She would bake, slice thick and cubes perfect morsels of cakes with ham and gruyere, roasted red pepper and feta, crab and dill, etc...her combinations were endless. They became some my favorite items to make and serve with a glass of wine before dinner, at a cocktail party and other events involving finger foods. I regret not copying her recipe down when I visited this past Christmas and my parents are relax in the Alps I chose not to bither them with such a small inquiry. I figured I could easily come up with my own and so I went googling around. After reading many a savory cake recipe I finally settled on this one. I already had an idea of what I wanted for this challenge: something sweet, something salty and one or two spices and/or herbs to complement them. I played around for a couple of days and came up with a dozen combinations of fruits such as figs/prosciutto, pineapple/ham, peppers/feta, seafood/mascarpone. The possibilities are endless, limited only by your imagination. I decided upon pear and blue cheese because of their classic sense of companionship. 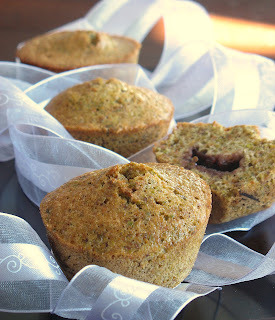 I love cardamom in everything, especially crushed up over roasted pear, and the grassy flavor rosemary goes well with both fruit and blue cheese.Instead of my mom's usually little cubed morsels, I chose to bake these in regular sized muffin tins. 200 gr. flour (about 2 cups) You could use half regular and half whole grain flours. In a large bowl, combine the flour, baking powder and salt. Add the eggs, olive oil, and milk and whisk until well combined. Gently fold in the pear, cheese and spices/herbs with a spatula until incorporated. Pour into muffin tins (use paper molds or grease well), and bake at 350 for 25-20 minutes or until a knife inserted in the middle comes out clear. Notes: baked as the recipe is written, we both regretted not taking a more pronounced stance: sweet or savory. In the morning, I would not mind a little bit more sugar whereas in the afternoon a little bit more salt would be appreciated. I am just so bad at choosing that I have come up with my own solution: a spat of strawberry jam in the morning and a spat of salted butter in the evening. 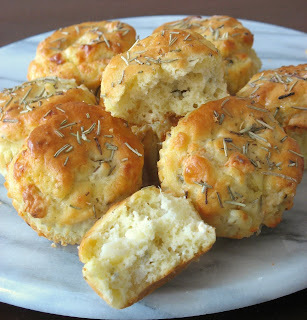 These are great for a sunday brunch, dinner party and they are great as mid morning or afternoon snacks. They taste fantastic with a cup of tea. People think I am crazy when I tell them how I relax on the weekends....I knead dough, I watch yeast proof and bubble, I covet the rising of my loaves and delight in the smell pervading through the house. The week has been strange and hectic as I mentionned a couple of days ago and yet the only way I know to relax and recover from it is by making breakfast treats for us or the neighbors. I have got scones in the oven as we speak and we just devoured a half of this beautiful cream cheese braid you see up there. What is special about this braid...? The cream cheese replaces most of the butter and leaves you with a very soft dough, very creamy without being over the top. The same dough can be the base of multiple variations and I usually do a hazelnut or almond filling alonside this one because it seems that one is never enough! 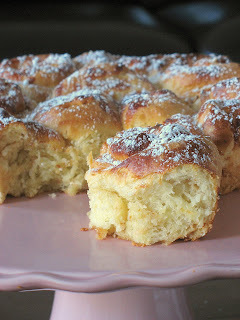 The inspiration to replace the butter with the cream cheese came from this recipe. The Fresh Loaf is a mine of knowledge and ressources for novice or advanced bakers and this blueberry braid filled with all that creamy goodness made me want to incorporate the cream cheese in the dough to see if the flavor would mellow through it and if the dough would be nice and soft as a pillow. I also have to say that I was getting a little lazy with the whole rolling, spreading the cheese inside, braiding, etc... thus dumping the cheese in the Kitchen Aid alongside the butter. It worked one night and I never looked back! Add the eggs, salt, sugar, and one cup of the flour to the sponge. Beat until smooth. Then add the cream cheese and butter in small chunks and beat well. Add the remaining flour a handful at a time and mix in until you get a soft dough. Knead the dough by hand or with a mixer about 5 minutes. The next day, take the dough out of the fridge, deflate and divide in 2 equal pieces. For the braid, I divide one piece in too and twist them together (so not exactly the conventional braid, but at this point I can't wait any longer!!). Place it on parchment paper lined baking sheet, allow to rise 45 minutes, brush with some egg was and bake at 375 for 20- 25 minutes. Take out of the oven, and while it cools a little, prepare the glaze. 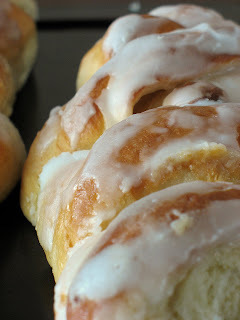 Add enough milk to the powdered sugar and melted butter to make a soft spreadable glaze and our all that goodness on your braid...and go ahead and eat because after all that you really deserve it! No, I am not talking about the current clock adjustment we are doing this weekend. I have been asked to make 1000 chocolates like these for a wedding reception tomorrow and everytime I get closer to the magic number, B. comes behind and begs for one....so it went from 500 to 499 to 502 to 501...until I had to chase him out of the kitchen : "Don't you have papers to grade or something...?" Hence, the reason why I have not been around much in the past few days....! 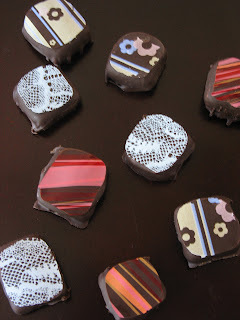 They are soft ganache centers dipped in tempered chocolate. The bride asked for flavors such as hazelnut praline, coconut, jasmine tea, Grand Marnier and plain with all three chocolates (milk, dark and white). 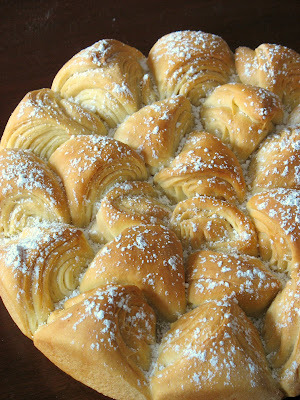 It was fun at first now I am dying to post about the Cream Cheese Brioche Braid I made this morning....will have to wait for tomorrow! By the way, I onl have 25 left to dip and I can have a Martini! A little prep does a lot of good! Start these on saturday evening and you will be rewarded with the most comforting sunday breakfast or brunch. 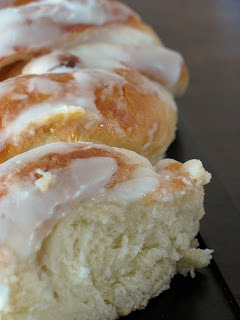 As a baker/cook I know that a little preparation and planning is best, but in the case of yeasted breads, I tend to get a craving at odd times of the day (read late afternoon) and find myself baking late at night, thus smelling fresh brioches and rolls right when I am about to go to bed. Granted it makes my dreams extra nice and warm but I get up to a slightly older loaf when I'd rather have a fresh piping hot roll on sunday morning. I started these rolls on saturday evening as we decided to spend a cozy night at home, and relied on my stand mixer to do most the kneading. I divided the recipe in half, made a regular brioche with a portion of the dough and used the other half for rolls. I was thinking pecan sticky buns, or cinnamon rolls but then again I wanted creamy and caramel so I filled them with cream cheese and homemade dulce de leche, parked them in the fridge overnight and baked them on sunday morning....and reaped the rewards sitting on the couch reading the morning paper...my idea of a good day off. Place 1/3 cup warm water, warm milk, and yeast in bowl of standing heavy-duty mixer; stir until yeast dissolves. Fit mixer with dough hook. Add flour and salt to bowl; mix on low speed just until flour is moistened, about 10 seconds. Scrape sides and bottom of bowl. Beat in 3 eggs on low speed, then add sugar. Increase speed to medium and beat until dough comes together, about 3 minutes. Reduce speed to low. Add butter, 1 piece at a time, beating until each piece is almost incorporated before adding next (dough will be soft and batter-like). Increase speed to medium-high and beat until dough pulls away from sides of bowl, about 7 minutes. Cover bowl with plastic wrap. Let dough rise at room temperature until almost doubled in volume, about 1 hour. Lift up dough around edges and allow dough to fall and deflate in bowl. Cover bowl with plastic and chill until dough stops rising, lifting up dough around edges and allowing dough to fall and deflate in bowl every 30 minutes, about 2 hours total. Cover bowl with plastic and refrigerate an hour. Take the dough out of the fridge and divide in half. For the buns: roll out the dough to a 14x9 inch rectangle. Spread 1/3 cup softened cream cheese, leaving a 1 inch border. Spread the Dulce de Leche on top, it is messy, it will spread but hey! it's good. Roll into a log and cut into 12 pieces. Place them in a buttered 9 inch round pan, cover and refrigerate until the next morning. The dough will rise slowly overnight. In the morning, bake at 350 for 20-25 minutes. You can repeat with the other half or make a brioche loaf like I did (for another post). I use "boil til done" method: take a 14 oz. can of sweetened condensed milk and put in a large stockpot or dutch oven. Fill with water well above the can. Turn the heat on high and let it boil for a couple of hors. Make sure there is always enough water to cover the can. 1/ My husband is 19 years older than I am, we have been married 9 years (july). Yet, it feels like we were married yesterday and he acts like a kid, much like his own father. When I met my husband, I felt home for the first time in months. Something was telling me to stop running, that I had found inner peace…the first day we met. My husband wrote me a 2 page letter trying to make sense of our meeting and of what forces had brought us together and left it on my doorstep…the day after we met. 2/ I have diplomas, Masters degrees, I can speak and read many languages, I can pull sugar, run marathons, and yet I CAN’T cook rice…unless it is sticky rice you want! 3/ I listen to every genre of music. My dad played classical music all the time when I was growing up and I snobbed it for a while, the college years, then I came back to it. I remember quiet weekends with us doing crafts and my dad painting while listening to music. Music is always on at our house. B. plays trombone in a Jazz band and he is always humming or listening to something and I am never faithful to one genre of music. If you were to put salsa on then and there, I would get up and start shaking my hips….if you were to put on some rock, I would start jumping up and down….or calm down with a good classical piece. I am versatile. 4/ There is a dark pink mark on my right upper thigh…not a birthmark….but the place where my brother bit me over 20 years ago….I think I said something I should not have! Ah!! 5/ I am addicted to…”Cheez It”…Yep! Discovered them when I first moved here…don’t get me the white cheddar, the spicy jalapeno, the gourmet parmesan, don’t try to repackage the reduced fat ones or buy them at the healthfood store…I am addicted to the orange neon cheddar full fat '"Cheez It"….Na! I said it! I am sure in a few years I will glow in the dark!